So You Want To Live In a Courtyard Villa but Donât Like The Garage Space? Check this one out!! 3/2 Bungalow Avondale Courtyard Villa with 2 GARAGES! You will have the car and a half garage then you will have ANOTHER GARAGE that holds two more carts and both have extra storage space and the pull down stairs with attic storage. HUGE PRIVATE CORNER LOT! Beautiful landscaping and outdoor seating there is ROOM FOR A POOL and more! Now step inside to the large open kitchen with Island and seated bar area New Appliances Backsplash and pullouts in cabinets. Master suite has a tray ceiling and is nice and bright with big window facing private backyard. Double vanity large closet and walk in shower. Two nice sized guest bedrooms for the comfort of your company. Keep the noise and heat of laundry in the garage. Main garage size 21.5â X 17.8â --- Second Garage size 16.3â X 13.4â â Thatâs Nice! 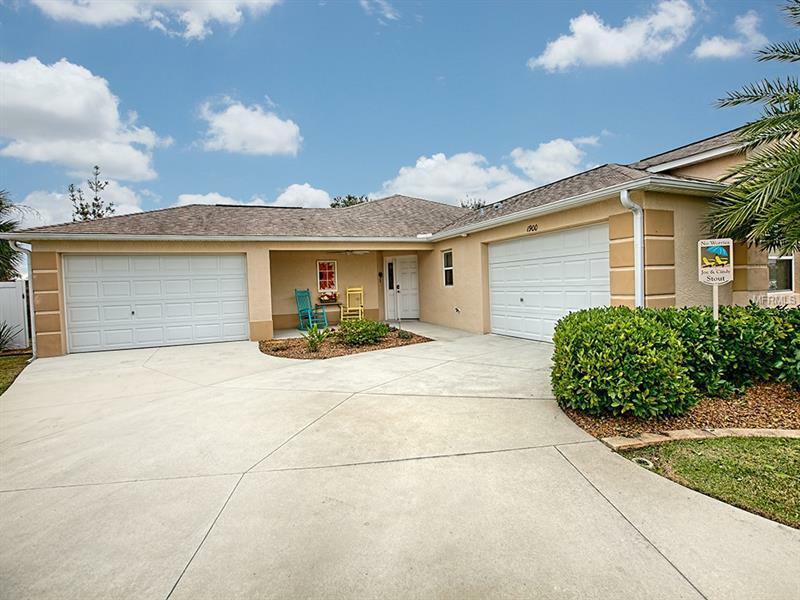 You will live close to several golf courses the neighborhood pool Recreation Center and a short cart ride to Lake Sumter Landing or Brownwood Paddock Square. The New Trailwinds shopping is only about a mile away too. This is an Awesome Villa in an Awesome Area. Bond balance $11609.63.